The airline announced Tuesday that its revised support animal policy would allow customers to bring dogs, cats, and miniature horses as therapy support animals starting July 1, 2018, as long as a veterinarian can attest to the animal’s health and give proof that its immunizations are up to date, SF Gate reports. Customers would also have to give the airline 48 hours notice if they are taking an emotional support animal on the plane and must accept responsibility if the animal damages property or injures other passengers. Morgan Johnston, a JetBlue spokesperson, says the airline released their updated list of allowed animals to match the U.S. Department of Transportation’s (DOT) guidelines on therapy animals. Before the DOT released its updated guidelines in May, JetBlue only prohibited certain animals such as ferrets and hedgehogs from being brought on board aircraft. “The new requirements follow a dramatic increase in industry incidents involving emotional support animals that haven’t been adequately trained to behave in a busy airport or the confined space of an aircraft, which creates health and safety risks for customers, crew members and other service or support animals,” JetBlue announced in a statement. Unlike service animals, Therapy animals — or emotional support animals — help people with mental health issues and do not need special training. Service animals, such as guide dogs that help the blind, need to undergo special training. 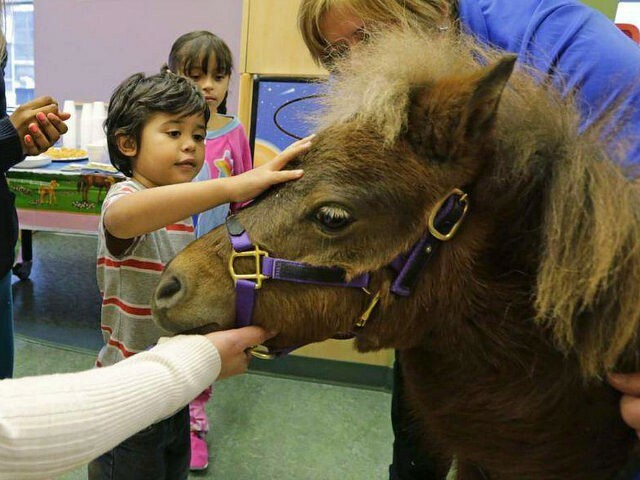 The U.S. Department of Justice (DOJ) released updated guidelines on what animals could be recognized as support and service animals under the Americans with Disabilities Act in 2010 when a court ruled that miniature horses could qualify as both service and support animals. Emotional support animals are becoming so common that airlines are cracking down on what can be considered an emotional support animal. Despite the crackdown, some passengers have still tried to pass their exotic animals off as therapy animals. In January, a woman flying out of Newark Liberty International Airport in New Jersey attempted to bring her emotional support peacock on a United Airlines flight, but the airline denied her request to bring the peacock aboard the plane.